Go south on South Boundary Road (from M-107 about 2.5 miles west of Silver City) for about 18 miles to the Little Carp River Road. Turn right on to the Little Carp River Road and go .5 miles to a parking area. Walk downstream on the near side of the river for a very short walk to the falls. There are signs to the falls. The trail is closed just beyond the falls. 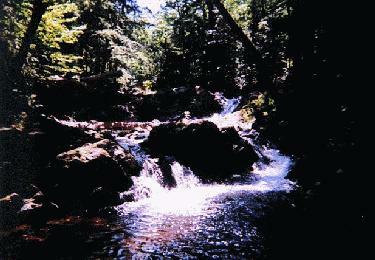 Here's a photo of another falls along the trail. 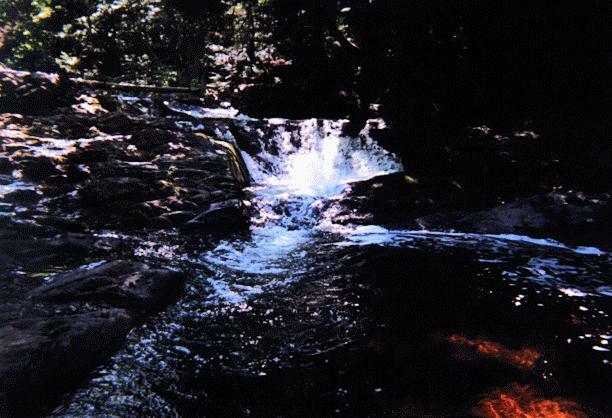 See Greenstone Falls which can be reached from the same parking area.